Many women do not wear fragrance, even though they would like to, because they experience headaches, rashes, tickly coughs, nausea, or find them drying or irritating to the skin. Or – they choose not to, because they are aware of the contents of the formulations. Purity Fragrances are ideal for those who react to mainstream fragrances and to fragrances where ethanol or alcohol is used as the main ingredient. 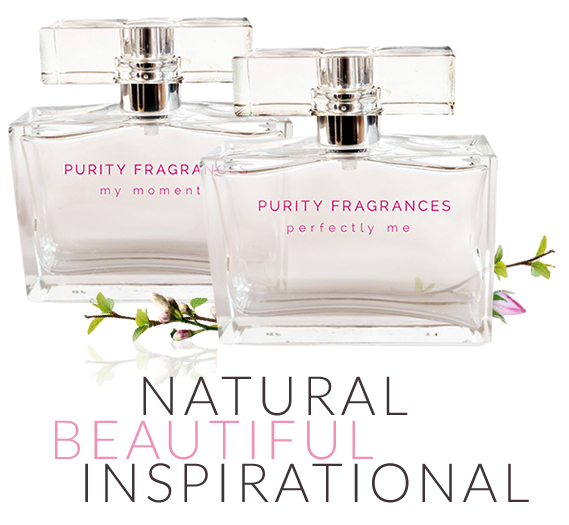 Purity Fragrances offers a totally new natural alternative in eau de toilettes. Free from – Ethanol, Parabens, Phthalates, Polyethylene Glycol’s (PEG’s), Colours and Synthetic Fragrance.